Style meets comfort meets performance. 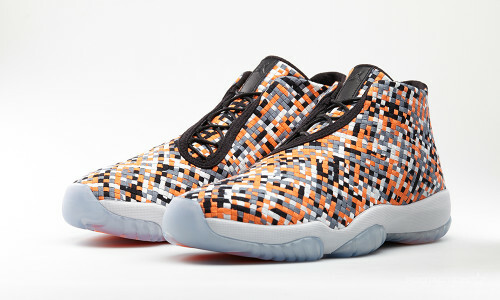 The Air Jordan Future “Multicolor” is guaranteed to turn heads with its orange and grey woven upper. With a clean silhouette, offset by a white midsole and black leather trim, the sneaker sits atop a translucent sole. 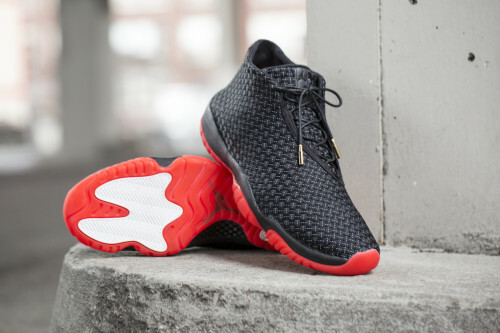 A perfect fusion of sports lifestyle-centric footwear, the Jordan Future is comprised of elements seen on the Nike Air Woven and the Air Jordan.